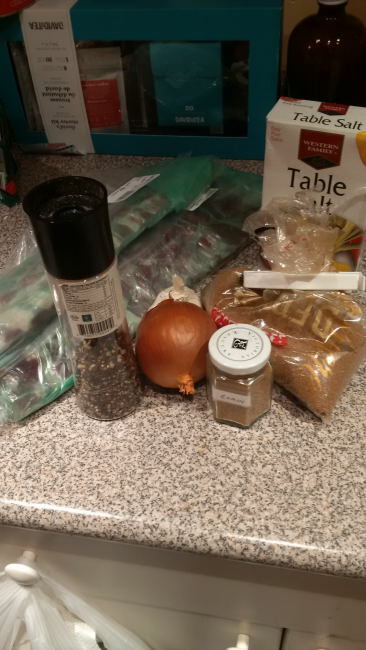 With it being the season for St Patrick’s Day I decided I wanted to make a stew with a stout in an nod to Irish tradition. I did a search and came up with this recipe from the Food Network as my source. One 4 pound boneless beef chuck roast trimmed and cut into 1 1/2 inch cubes. In your slow cooker place the potatoes, carrots, onions, garlic, parsley, stout, olive oil, brown sugar and tomato paste. In a bowl mix flower, salt and pepper. 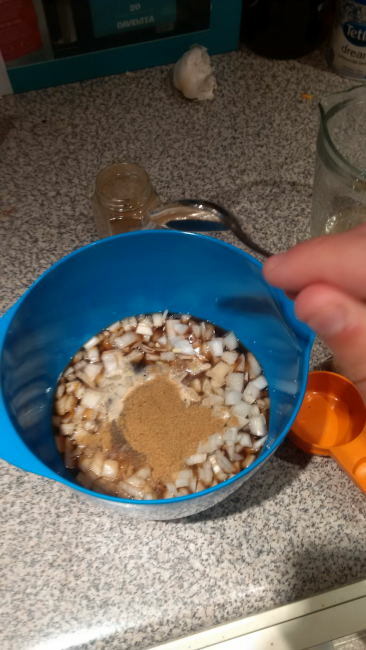 Take your cut steak and place it into the flour mix. Coat them and shake off the excess. In a medium sized skillet melt the butter and canola oil over medium to high heat. 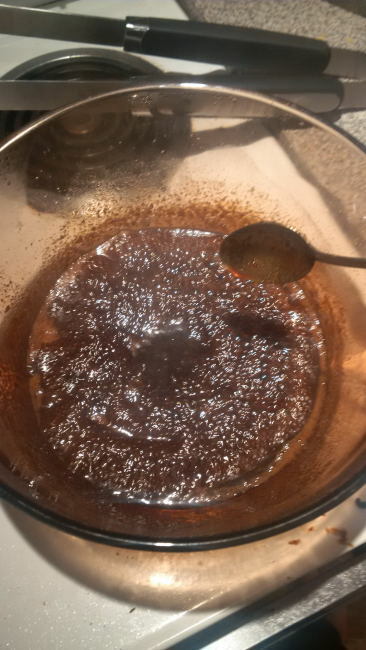 Sear the batches of beef for aprox 2 minutes and place them into the crock pot. 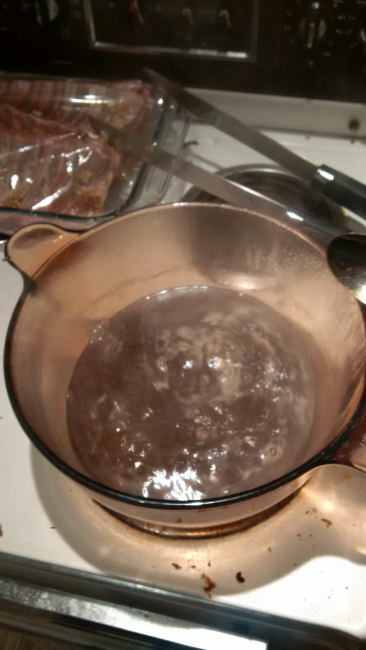 Once all of the beef is all cooked add 1 cup of chicken broth into the skillet and scrape all of the leftovers and then drain it into the stew. 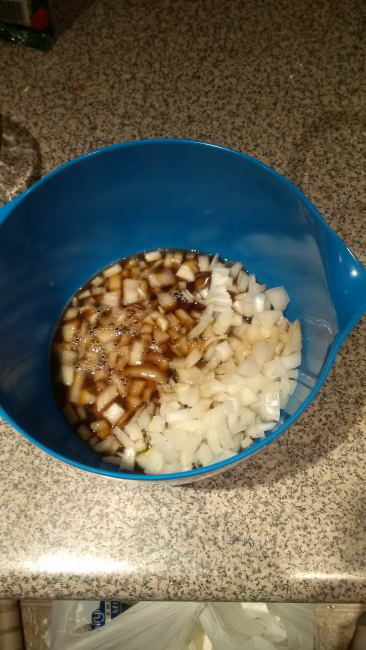 Next add the last two cups of chicken broth to the slow cooker and cover it. Cook on high for 6 hours. And here is the finished product. This is a hearty stew for sure. While I have probably had better stews this one did not take a ton of time to prepair and it was ready to eat when I got home. I enjoyed it and I will all week! 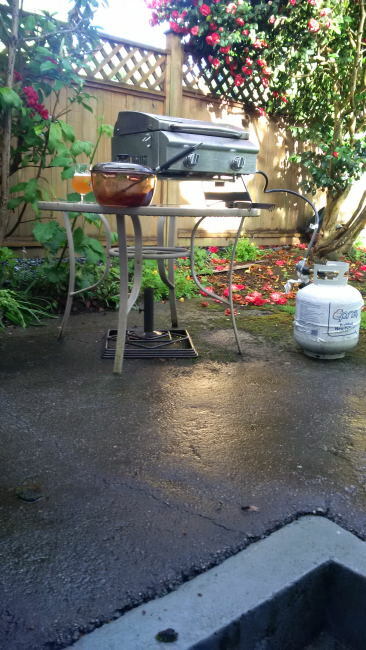 Its been quite some time since I cooked with beer and I have wanted to change that for some time. Luckily recently I was given some inspiration by finding a store in Coquitlam that sells all sorts of interesting wild meat. The store is called Hills Foods and is quite an amazing place. Once I had my Kangaroo meat I searched for a good recipe and found the one on Gourmet Game out of Australia. 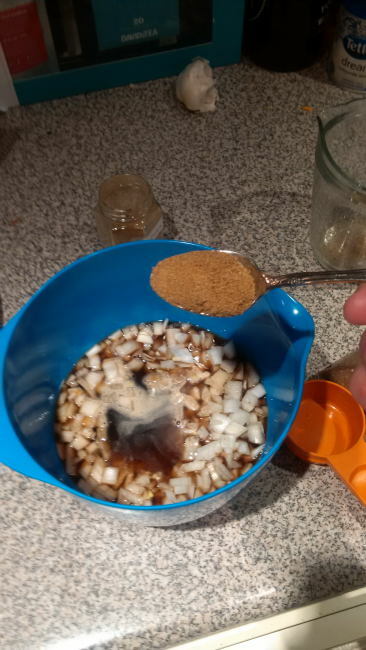 Place flour, salt and pepper into a ziplock bag. Place portions of kangaroo into the bag and shake to coat. Heat half the oil in a pan on med-high heat. Cook the meat in small batches for 2 to 3 minutes until they are browned. I flipped them half way. Make sure to not overcook. Transfer them to the slow cooker. 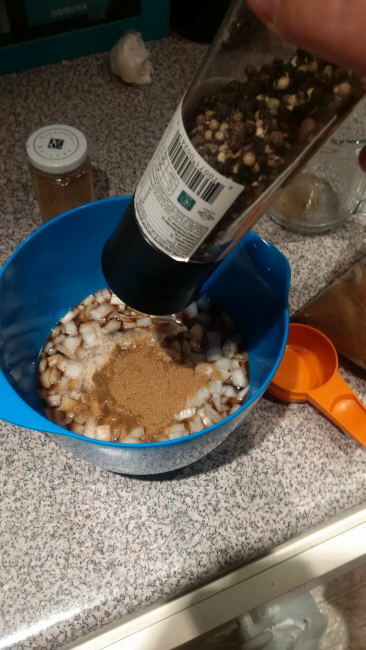 Dice up the garlic, ginger and onion. Before putting it in the frying pan add the last of the olive oil. Cook at med-high heat for 4 minutes while stirring. They should be sauteed and soft. Add the Madras curry paste and the red chillies and cook. Stir for one minute. Next add coconut milk, beef stock powder and IPA. Bring this to a boil. 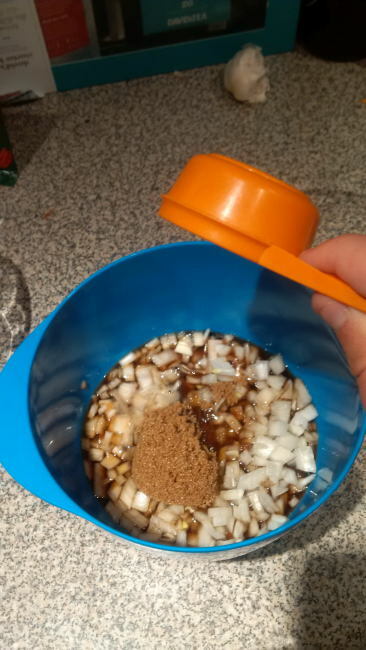 Transfer this mix to the slow cooker. Add cinnamon stick, bay leaf and potatoes. Mix all of the ingredients in the slow cooker. At this point I put the curry in the fridge overnight so that I could plug it in first thing in the morning for dinner. You can just prep it first thing in the morning though. Cook on LOW for 5-6 hours or as long as you are at work. When you are ready to eat it serve it with rice and naan bread. If you have trouble with spice then some yogurt on the side would not hurt. Don’t forget to serve the meal with the beer you cooked it with also! I have never attempted making a curry and I have not every cooked Kangaroo. I am quite happy to say that the meal was delicious even if I over baked my naan bread. I did not even register the pun at play with this beer and meal until I finished this post. I have been meaning to do anouther cooking with beer post for some time but just have not found the time. But the other night I was watching a show on Morel Mushrooms being picked in British Columbia and I decided I had to try the mushroom out for the first time. The recipe I used came from MidwestLiving but called for a dry red wine. I put a question out to twitter and to two Certified Cicerone’s I know and came up with the Duchesse De Bourgogne as a great replacement for the dry red wine. Morel Mushrooms can be hard to find it seems but I found mine at Famous Foods in Vancouver. First place the Morel mushrooms in a small bowl and cover with hot water. let this sit for 20 minutes. After mushrooms hydrated rinse under hot water and squeeze out excess water. 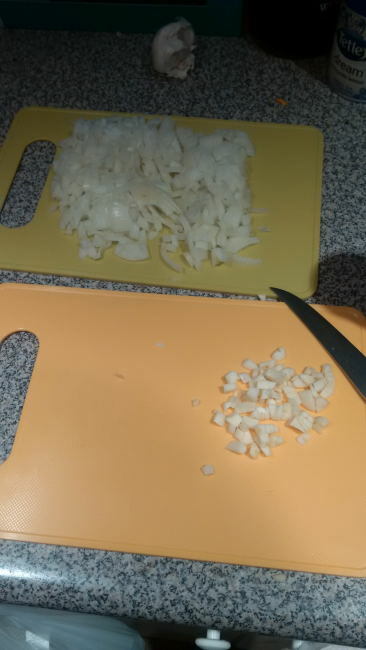 Chop mushrooms into small pieces. 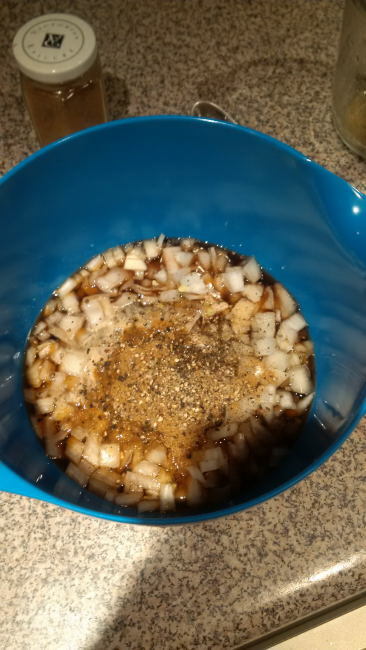 Dice up onions, measure out green peppers and black pepper. Add mushrooms, onion, green peppercorns and cracked black pepper and cook uncovered, over medium low heat for 15 minutes stirring often. Remove from heat. Add the Duchesse De Bourgogne then return to heat. Bring up to a boil then reduce heat. 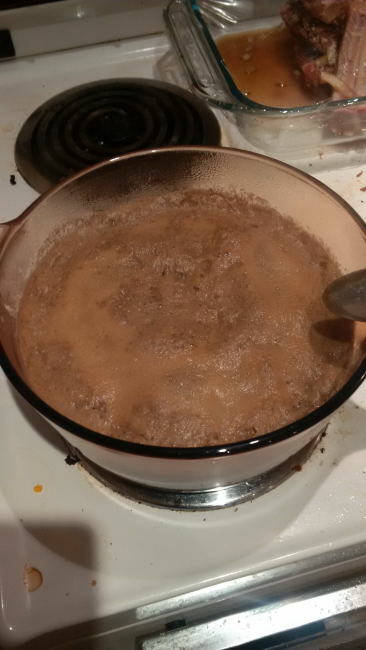 Simmer, uncovered for 8 to 10 minutes or until the beer is reduced by half and mushroom mixture is thickened slightly. 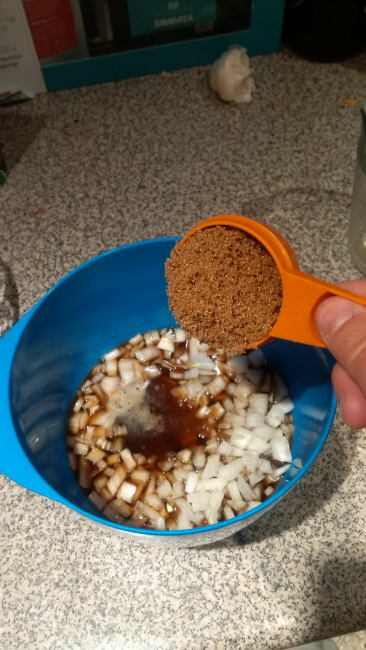 Make sure to stir occasionally. Add the whipped cream and condensed beef broth. Heat over medium heat until tiny bubbles appear around edges. Reduce the heat to medium low heat and stir occasioanlly for 20 to 25 minutes or until mixture thickens to desired consistency. Remove from heat and set aside. 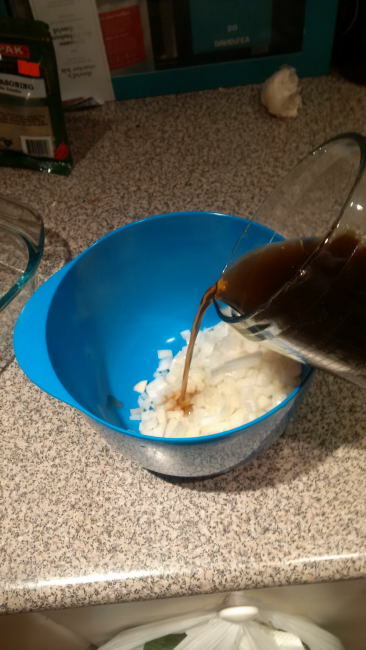 They reccomended making mashed potatoes as a side dish so I did that while I finished up the sauce. I added some garlic, butter and milk while mashing the potatoes. 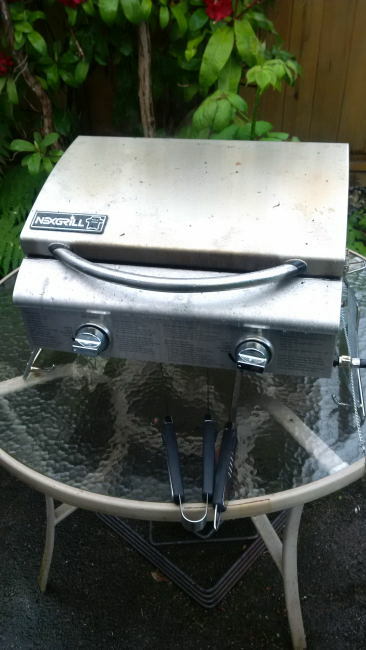 The next step is to grill your meat. I will leave this to you as depending on your size of steak, thickness and preference it will take different times to cook. I use this website as a guide. Once the steaks are finished reheat the sauce and drizzle it over your steak. I even put it on the potatoes and it tasted great! This beer is an epic mildly sour Flanders Red Ale and added a nice light tart flavour that went well with the cream and the mild earth notes from the Morel mushrooms. This might be the best meal I have ever cooked. My personal opinion for sure. Cheers. My inspiration for this recipe came from Tring Brewery out of of the UK but things have been altered to my personal preference. This recipe must be started 24 hours before you plan on cooking the ribs. 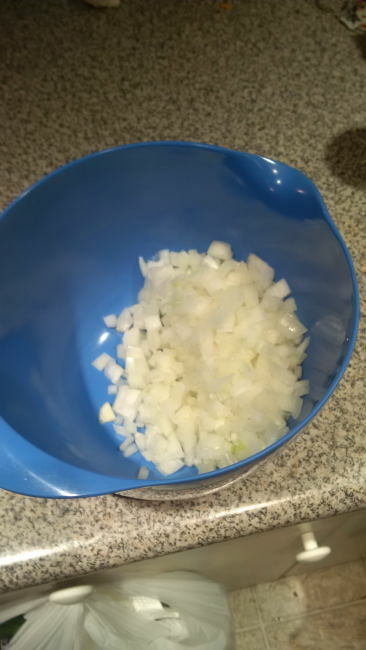 First Step chop up the onion and garlic. 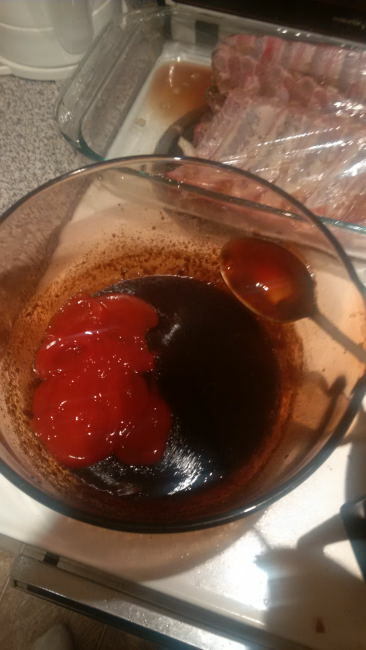 Mix all ingredents into a bowl excluding the ribs and ketchup. 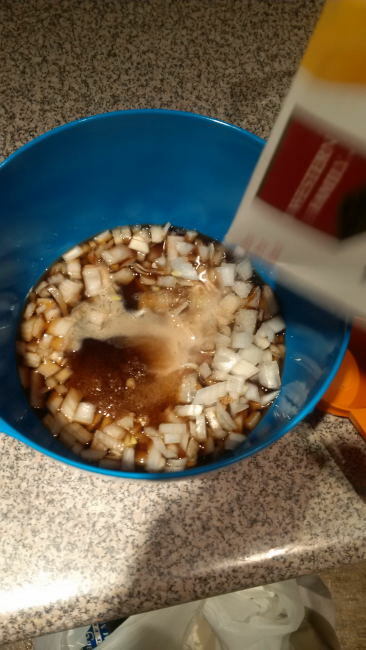 make sure all ingredients are mixed thoroughly. 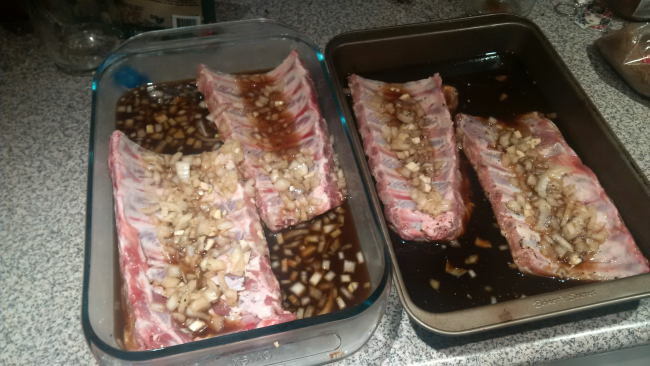 Cut racks of ribs into two and place them into large baking pans. 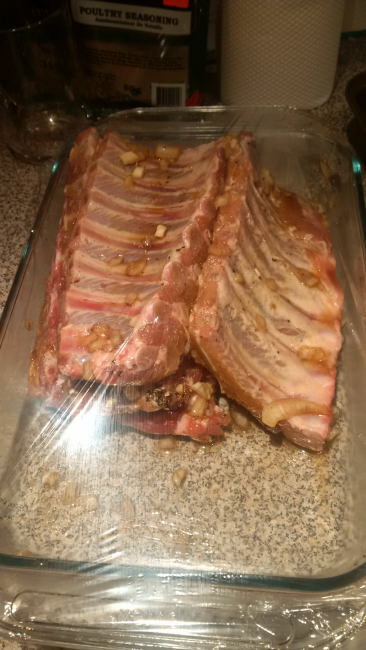 Pour the marinade over ribs and cover with cling film and place into fridge for 24 hours. 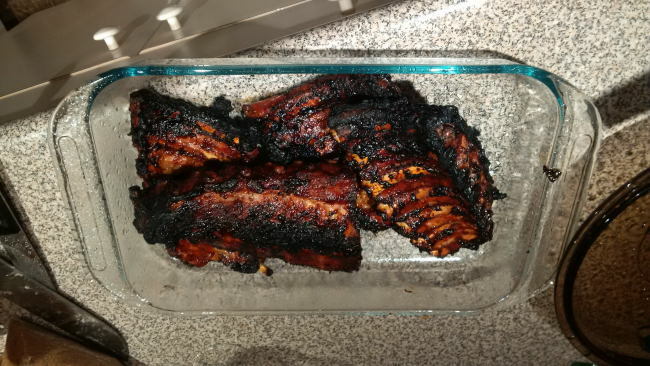 Pull ribs out of fridge 2 hours before you intend to BBQ them. 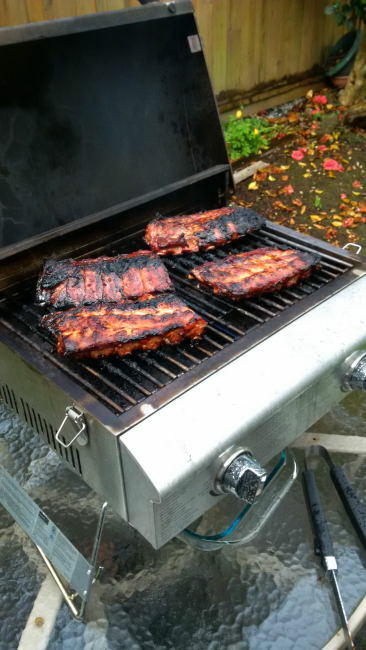 This allows the ribs to come up to room temperature. 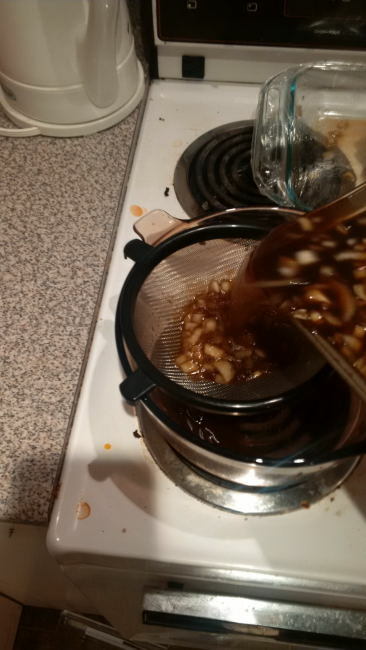 Strain the sauce through a sieve into a sauce pan. 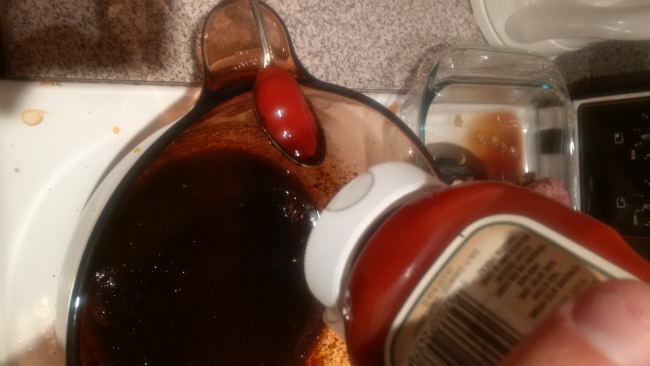 Reduce sauce sauce on stove by bringing to a boil but do not burn. 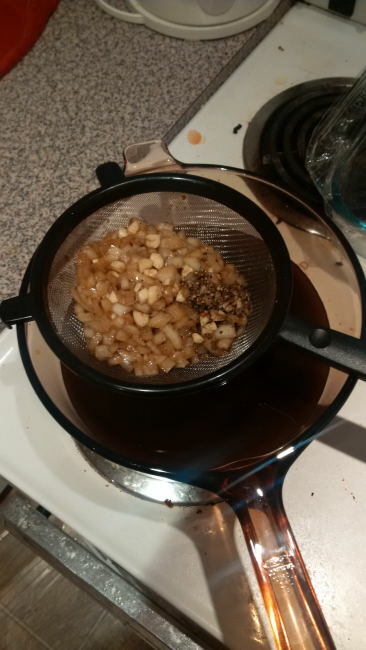 Reduce until the liquid turns into a syrup. 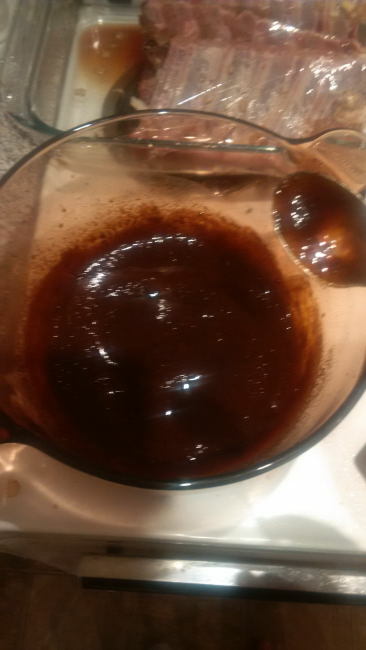 Remove from heat and let the sauce come up to room temperature. Once cool add the ketchup and mix thoroughly. 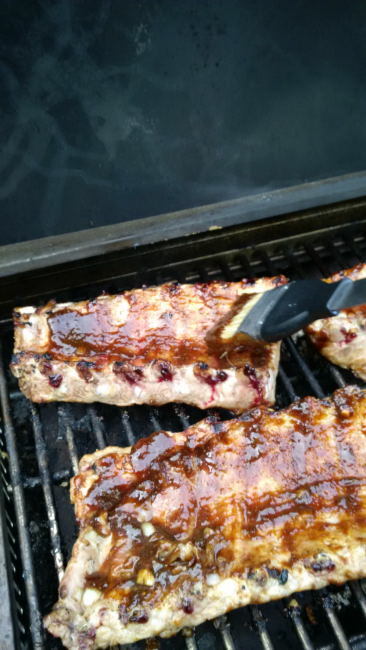 Put the ribs on the BBQ and brush a coating of the sauce on both sides. 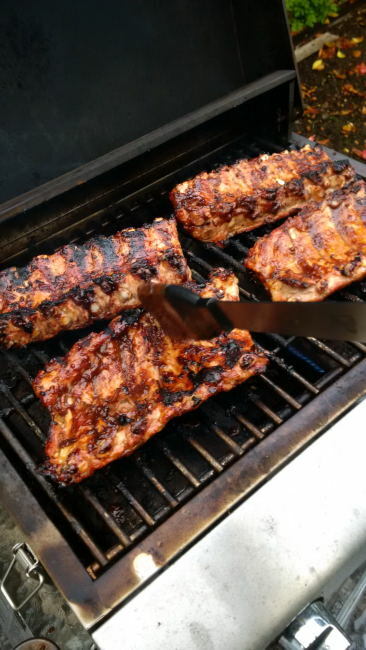 Cook ribs on the BBQ for 30-40 minutes flipping every 4 or 5 minutes and adding more sauce with a brush. 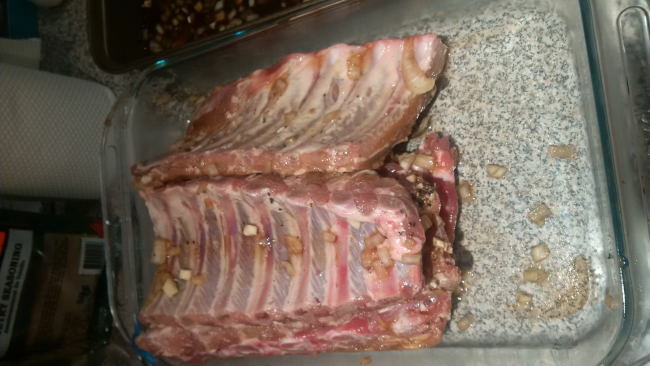 Once fully cooked remove the ribs from the heat and let them cool for 5 minuets. 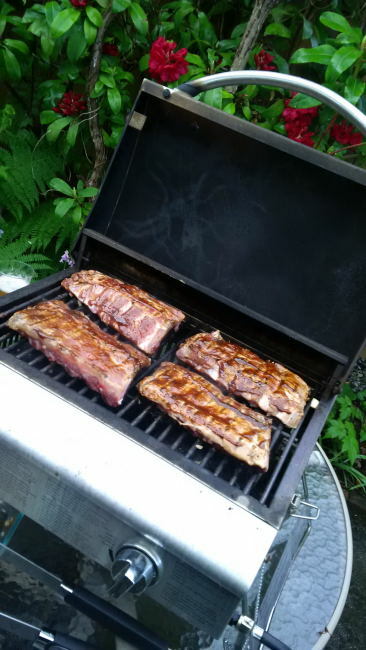 I decided to fry up the solids from the marinade and serve them with the ribs. 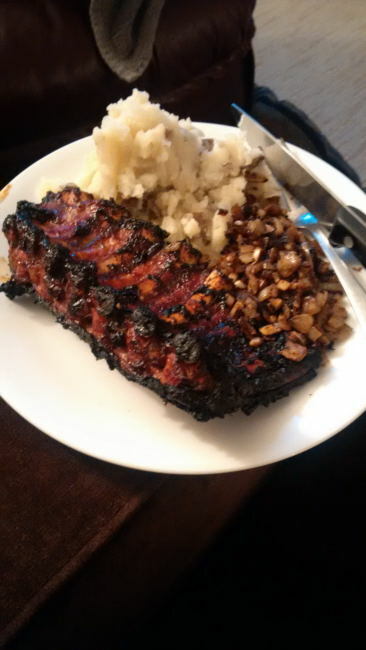 The ribs were also served with garlic mashed potatoes. 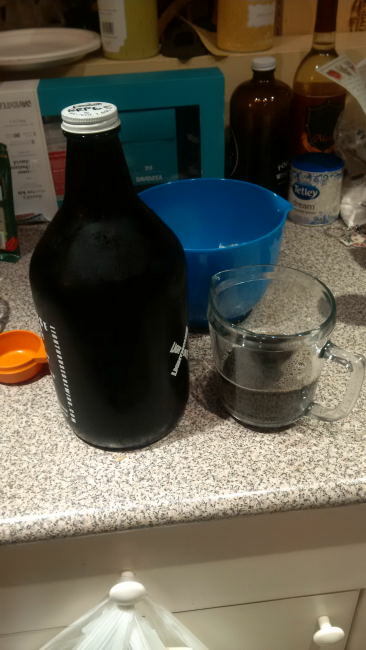 Sadly I had forgotten that I had the growler of this beer so the beer had gone flat so I can not give a good description of the beer as it would be totally unfair. 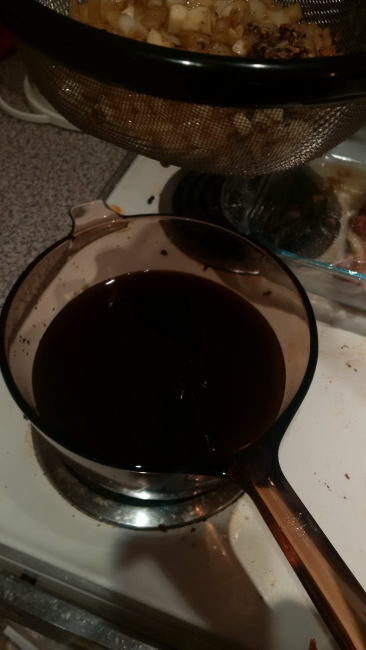 The Baltic Porter did come through in the marinade sauce with sweet malty notes as well as a hint of fruitiness. Overall these ribs turned out really nice for the first ever ribs that I have cooked outside of a slow-cooker.